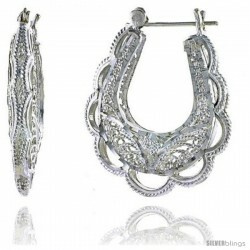 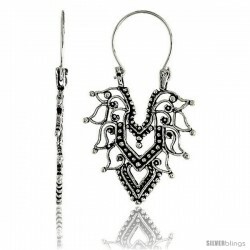 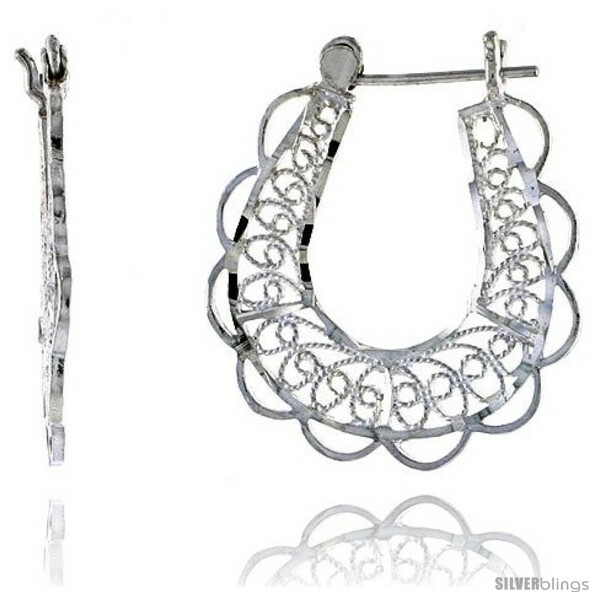 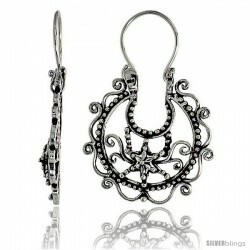 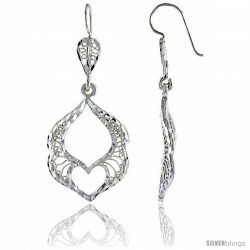 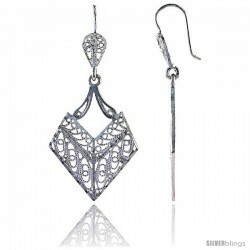 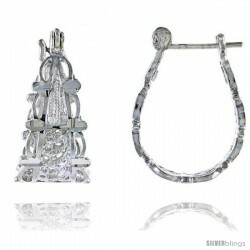 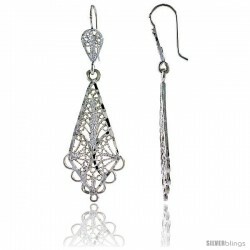 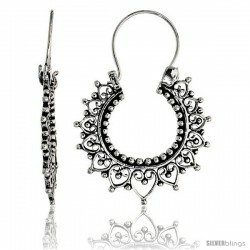 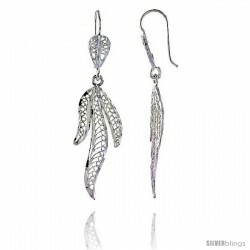 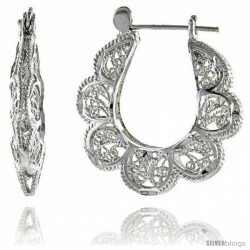 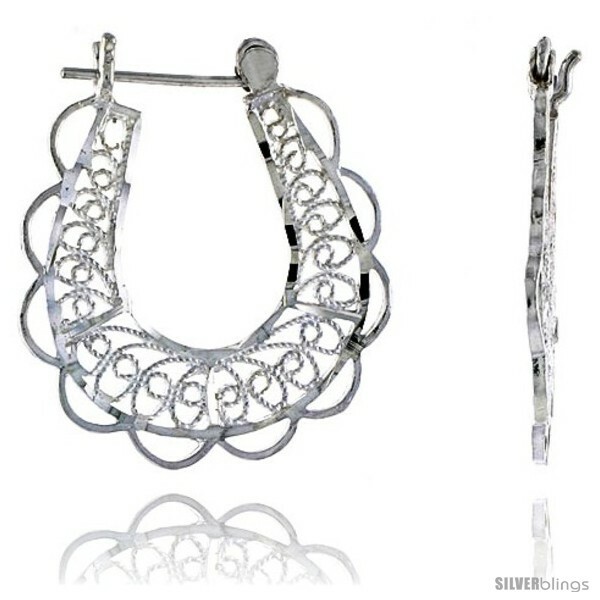 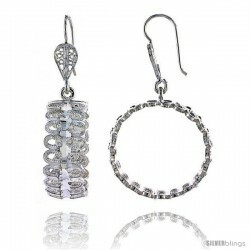 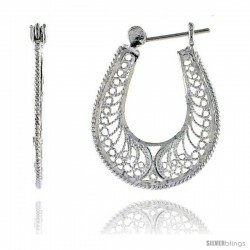 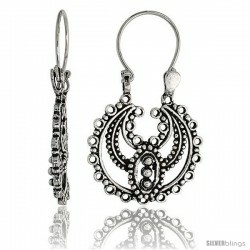 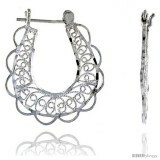 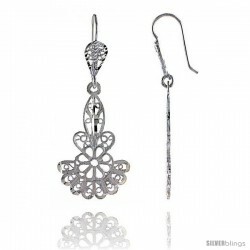 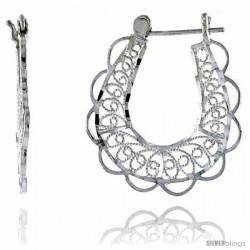 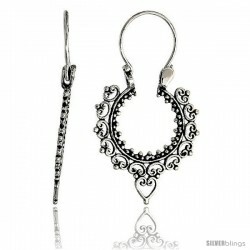 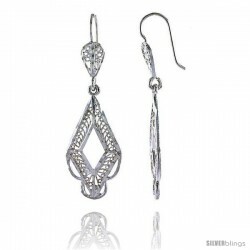 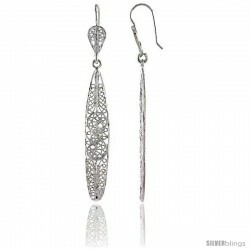 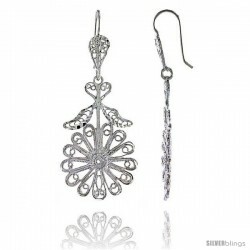 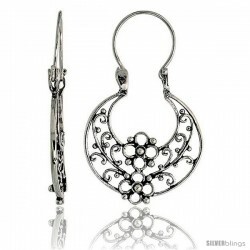 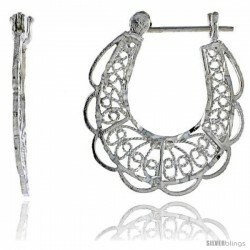 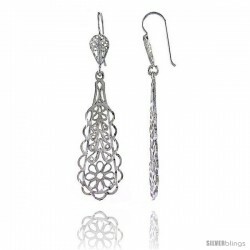 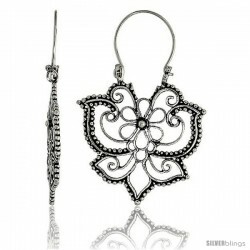 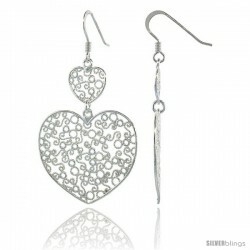 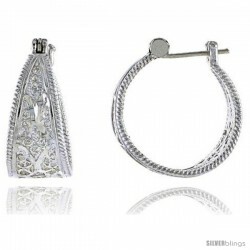 This tasteful Filigree Earrings made from Sterling Silver is breathtaking and beautiful. 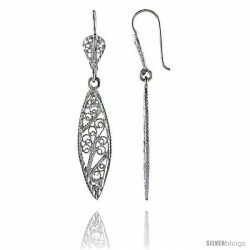 These Gorgeous Filigree Earrings are crafted from Sterling Silver. 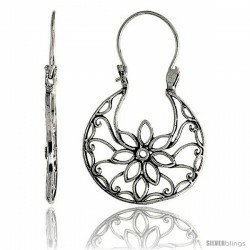 Each piece is very detailed, making it a delicate piece of art. 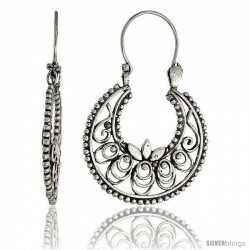 The Snap-down locks give them a Comfortable and Secure Fit. 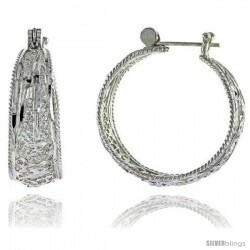 A very cool gift for yourself or a loved one on any occasion.